Wedding invitations are certainly important for your big day. Not only are they an extension of your aesthetic, but you want something that stands out and reminds everyone of how much they want to go to your celebration. There are quite a few styles of wedding invitations to find and here are just a few examples of some that may be a little different than what you are used to seeing. 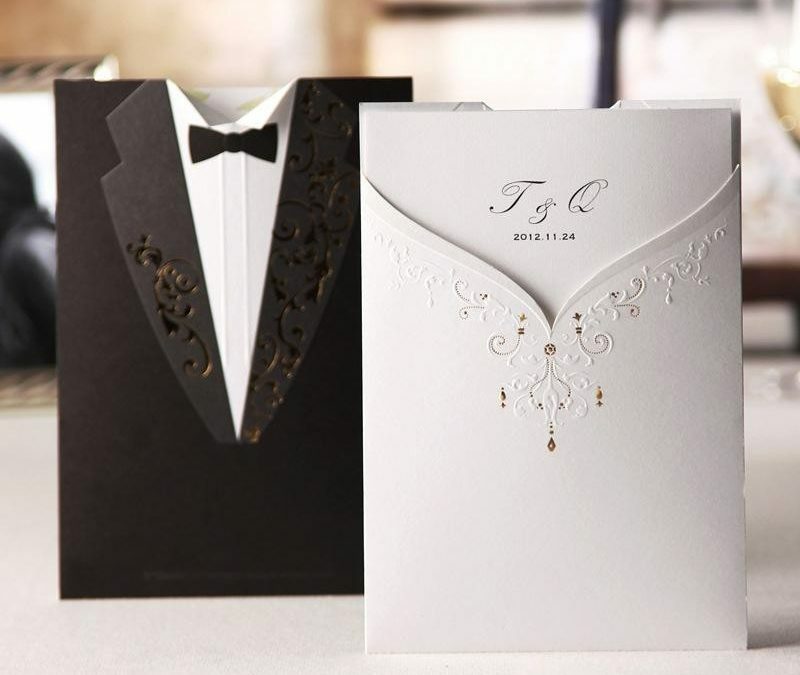 Have a read on how to find wedding invitations that are as unique as you. One of the really unique styles of wedding invitation features a look that is similar to a ticket to a sporting event. For instance, Dream Day Invitations has quite a few options for ticket style invitations. The Lovestruck has a tearaway part for guests to RSVP and a cute, whimsical look. The Ticket to Celebrate boarding pass is cute yet unique and even states on it, “now boarding.” First Class is similar as well but looks like a plane ticket. There are several styles of ticket wedding invitations that are different from the usual invite. Most wedding invitations are printed on quality paper but at LilyKiss, you can get wedding invitations laser etched as well as those printed on wood. For instance, the Efflorescence style invitation is simply stunning and elegant with its vivid colors and unique design. You can even choose two colors and two colors of wood. The Enchanted Tree is a laser cut invitation with stunning graphics in rich, deep tones of black. It definitely stands out from the rest. Now if you really want to make a splash with your wedding invitations, there are few things more elegant than hardcover invitations with a box style envelope. These wedding invitations are hardcover and are wrapped luxury paper; some even come with an actual box that is delivered instead of just in an envelope. They make an excellent keepsake and you’ll find many styles at Inspired Design. At Giant Invitations you have a plethora of options. From laser die cuttings, foiling, embossing, and engraving and ribbons to Swarovski crystals as embellishments – this paper crafting is the ultimate in unique design for your celebration. Not only can you tell your love story in an invitation but with over 300 luxury designs, you are able to make it all your own. Your wedding invitation is crucial to get the word out to friends and family on the time, date, and location of your wedding but also to give them a glimpse into your personality and maybe even a souvenir of your special day. It is important to make it unique to you and even tell a story in some way. Long ago, you mostly saw white invitations that were plain in style but now you can choose just about any design or color to draw attention to your wedding invite. No matter what kind of wedding invitation you ultimately choose, you need a wedding band for the big day. Lily Road has one of the best wedding bands around where you can choose a wedding singer that is professional and cares about the wedding entertainment for your big day. You get to choose from tons of popular songs for weddings from the best wedding singers with a vast background in hit bands. So when you need to find a wedding singer that fits your needs, we have the Melbourne wedding band or Sydney wedding band that is perfect for your wedding celebration.